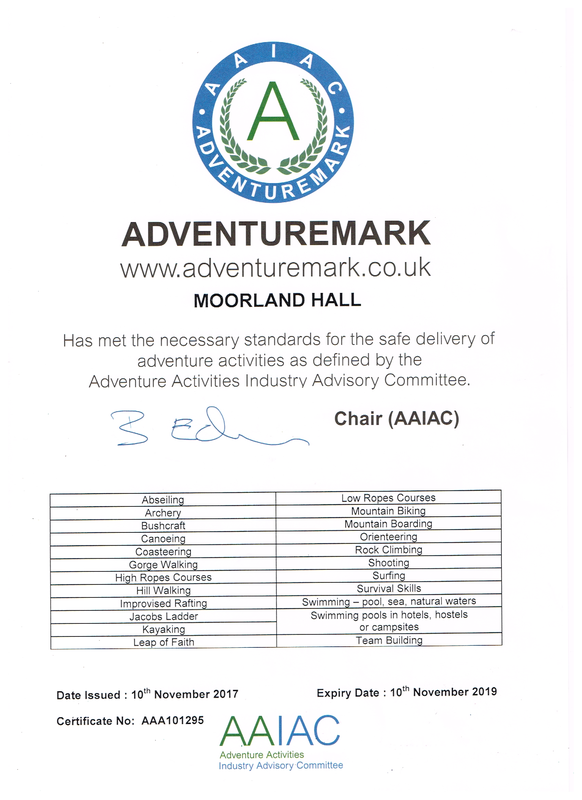 Moorland Hall is registered with the Adventure Activities Licensing Authority (AALA) as licensed to provide the following activities: Kayaking, raft building, rock climbing, abseiling, gorge scrambling, and coasteering. Licence details can be confirmed by calling the licensing authority on 029 2075 5715. Caving is sub-contracted out to Devon Adventure Training who are also regsitered with the AALA, details can be confirmed by calling the above number. We are also full members of the British Activity Providers Association and Adventure Activity Associates. Other activities offered do not come within the scope of the AALA.